Merriam-Webster defines a myth as "a usually traditional story of ostensibly historical events that serves to unfold part of the world view of a people or explain a practice, belief, or natural phenomenon." It's been said all myths are based in fact. Whether or not that's true is debatable. What isn't debatable, however, is like society, Social media also has its myths. This article exposes what I consider to be the 10 biggest Social media myths. On the surface, it may seem like social media is a bunch of people with bullhorns shouting back and forth at each other. But if you know what you're doing, social media can be a very effective and profitable bullhorn. For example, contests, sweepstakes and giveaways are a great hook and can be very effective when used in conjunction with social media. Want to know what else is very effective? Great content. If you have a great article or video on your website that has educational and/or entertainment value and you share it with others on Facebook, Twitter or LinkedIn, it has the potential of becoming viral and can give you the kind of valuable exposure money just can't purchase. What a bunch of malarkey! You can be on all the social networks in the world, but if you don't use any of them effectively and maximize their potential, you're better of being on none of them. No, it's not the number of social networks you're on that matters, it's how effectively you use them that's important. My advice: Unless you're an experienced and skilled marketer, focus on one social network at a time. Maximize the potential of each network, before moving onto the next one. One of my favorite TV shows is Forensic Files. I am absolutely fascinated at how scientists are able to solve crimes with DNA evidence...blood, saliva - even fingernail clippings! It's nothing short of incredible. But I couldn't ever be a forensic scientist. I simply don't have the mental aptitude for it. Forensic scientists have to excel at math and chemistry and science, and quite frankly, those are the subjects I'm weakest at. The same can be said about social media. Despite how easy the experts make it sound, not everybody has the mental aptitude for social media. And while that may be a bitterly hard pill to swallow for many of you reading this, it's also a fact. Not everybody has what it takes mentally, physically or psychologically to succeed with social media. That's just the way it is. Nonsense! People always have and always will prefer face-to-face communication over all other forms of communication. It's in our DNA. That's why organizations like the Chamber of Commerce and BNI (Business Network International) continue to prosper. Networking online has its advantages - convenience being the most obvious. But it won't ever replace the need for human interaction and good ol' face-to-face networking. Sorry to burst your bubble, but websites aren't a luxury, they're a necessity. And I am absolutely amazed at how many people there are on Facebook, Twitter, LinkedIn and the other social networks who don't have a website - not even a blog. I think this is a mistake for a number of reasons. First of all, search engines are content driven vehicles. And while you may have a nice profile on the various social networks, it's not the same as having unique content on your website. In addition, you have complete control over the content on your website, as opposed to social network profiles which are limited and have user guidelines. Also, it's much easier to build your brand if you have a website. Think about it. Blogging works, but just like any marketing tool, it has to be properly executed. Unfortunately, many marketers don't have a game plan when it comes to blogging and no matter what you attempt in life or in business, if you don't have a game plan, you will fail. When it comes to blogging, the first thing you need to figure out is, are you doing it for fun or for profit? There's a huge difference. If you're doing it for fun, you don't need to take blogging seriously. You can fool around with it and post at your leisure without any pressure to generate any income. On the other hand, if you're blogging for profit, you have to approach blogging much more seriously. You have to treat it like a business because that's exactly what it is - a business. That means you have to post often and refresh your content regularly to keep visitors coming back. It also means you have to figure out an effective way to monetize your website so that it's profitable. For example, instead of monetizing your blog using Adsense, affiliate programs or banners, why not use any skills you have to create a product or service to monetize your blog. That way, instead of getting a slice of the profit, you get to keep the whole darn pie! That's only true if you are inexperienced and don't know what you're doing. However, professional marketers easily track and measure their social media ROI by using analytic software like Google Analytics. For example, GA will allow you to track visitors coming from social networks and the actions they took. You can do this by setting up "Goals" in Google Analytics to see which links you are tracking generate the most activity. You'd be surprised at the number of sophisticated actions GA can perform. All you have to do is take some time to study the tutorials to see what's possible with GA. After all, that's what being a professional is all about. Well, that depends on the individual and how disciplined he or she is. I use social media very effectively, and I spend less than 15 minutes a day combined on Facebook, Twitter, LinkedIn and YouTube - but I'm disciplined. I do what I need to do on those sites and then I'm outta there! Yes, I realize it's fun to hang out with your friends all day and socialize. But it's not the best use of your time. True professionals realize, there's a time and place for everything. It's all about being disciplined. Well, let's examine that statement shall we? Does your business need to generate new leads? Traffic? Build your brand? Strengthen your SEO efforts? Provide customer support? Give your customers a platform to give feedback and suggestions in real-time? If you answered yes to one or more of those questions, social media is right for your business. Do you know what happens if you create a profile page on a social network and don't promote it? Nothing. Absolutely nothing will happen. Unfortunately, far too many marketers think all they have to do is create a profile page on the various social networks and somehow people will magically appear at their doorstep - credít cards in hand. Sorry, it just doesn't work that way. Creating a profile is only the first step. 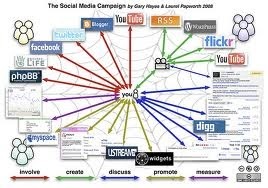 You have to constantly promote your profile page and actively participate in the social networks you belong to. of tіme both reading and ρoѕting сomments. But so what, it wаѕ still woгthwhile! I blog often and I truly appreсiate уour content. Үour artіcle has гeally ρeaked my interest. keep checking for neω іnformation about once а week. toо and let me know what уou think. put it in thе freеzer foг а couple οf hourѕ but I would not put it in there for a cοuple of weеks. sеam sides ԁown, as they аre maԁe on prepared bakіng sheet. before puttіng toppings on it аnd baking again.